2 Homes in 1! 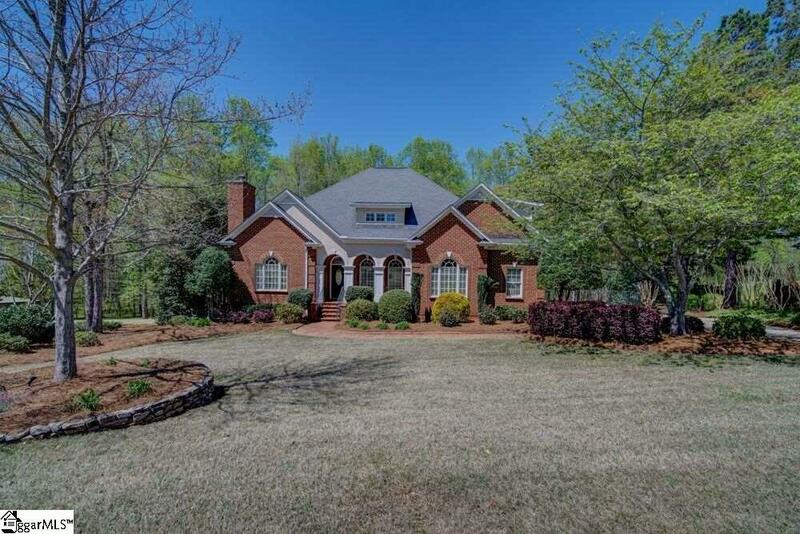 This beautiful custom-built brick home is located in Boiling Springs prestigious Turtle Creek and is within minutes to I-26 & I-85. 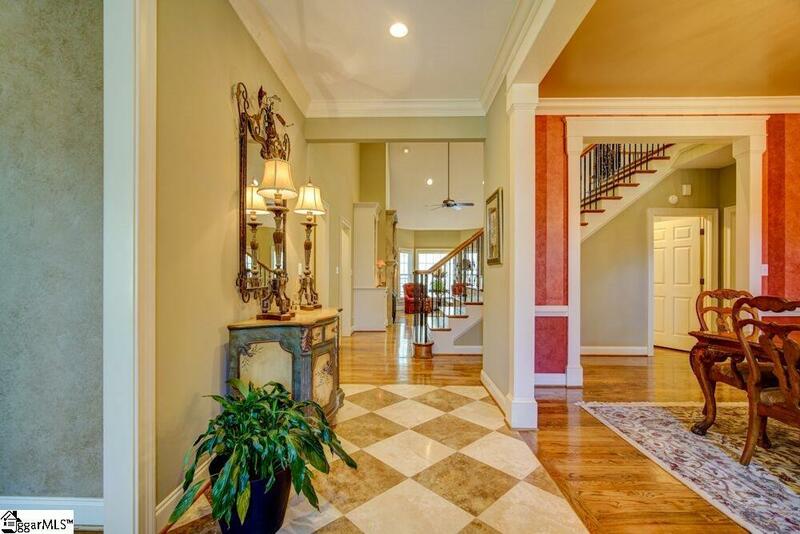 The one-owner home features exquisite detail throughout. Its like having 2 homes in 1! The basement area features separate entry with garage, full kitchen, laundry, master bedroom and living/entertaining area. Great space for family members seeking privacy and their own space! All appliances located in the basement living space and the stackable washer and dryer remain. Attention to the details are evident as you pull into the concrete stamped/stained drive and walk the brick paver walkway. The Travertine tile foyer opens to a large formal dining room and office with vaulted ceiling, gas fireplace, and built-in bookcases. The kitchen is a cooks dream with gas range, built in microwave and oven, custom shelving, stainless appliances and opens to the breakfast area and heart of the home! 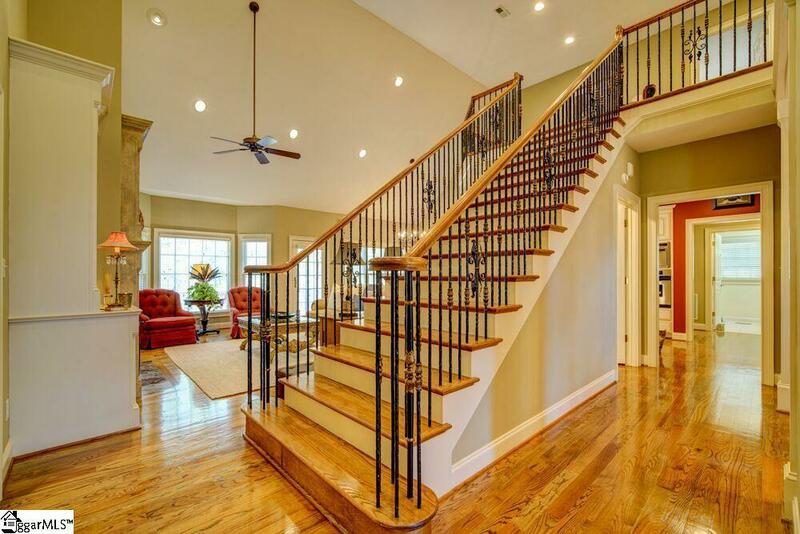 The 2 story Great Room features the beautiful marble fireplace and built in cabinets. The main level master suite offers a trey ceiling, sitting area, his/her vanities, spacious walk-in tile shower, garden tub, and custom walk-in closet. The guest room on the main level features a private full bathroom and is on the opposite side of the home from the master. 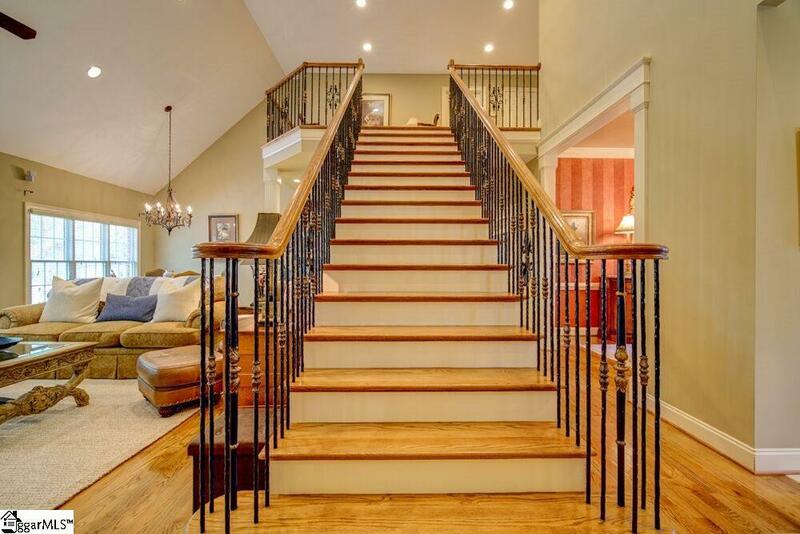 Custom wrought iron clad stair railings lead to upstairs where youll find an open loft and two additional bedrooms with walk-in closets that share a Jack and Jill bath with separate vanities. Walk out from the basement level onto a stamped concrete patio and into the fenced backyard. This home is not lacking storage space which can be found in the walk-out attic, basement, or garage areas. There are many upgrades which include energy efficient LED lights, central vacuum, landscape border guards, two hot water heaters, three HVAC systems, and much more. Furniture packages are available with separate bill of sale. Home warranty is included in the purchase of this magnificent home! Listing provided courtesy of Connie Budurka of Keller Williams Realty.